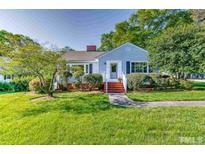 Find Fuquay Varina, NC Homes for sale. View Photos, Maps and MLS Data Now! Autumn Trace - Click On Photos For Floor Plan And Aerial Views MLS#2250409. 4981. High Grove - Main Fl Ensuite includes W/D Hook-Up, Sink, Microwave, Dishwasher, seperate Ext Entrance. MLS#2250415. 5092. Unfinished attic space off of the Bonus could be made into second master suite. MLS#2248990. 2739. The Oaks Of Sippihaw - Convenient to down town Varina's shopping and dining. MLS#2250527. 995. Less than 1 mile to 401. MLS#2250399. 734. 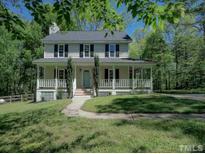 Large windows in each room with great fireplace in family room MLS#2246193. 1319. Hillard Place - 3 bedrooms up including master with ensuite full bath & 2 more beds that share another full bath! MLS#2250193. 4937. The entire interior has been freshly painted along with new carpeting upstairs. Truly move in ready! MLS#2250313. 986. Screened porch. Fenced yard. Fire pit. Patio. MLS#2248160. 4498. 3 season porch w/EZ Breeze panels & stone Patio make this a dream home! MLS#2249958. 4623. Downstairs master suite with upstairs bedrooms and a bonus. MLS#2248770. 3271. Spring Fields - New Roof 2017, New water heater 2018. New bathroom floors 2019. 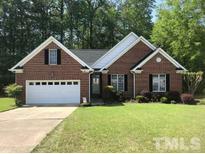 MLS#2248256. 297. Village Of Charleston - The Back yard is enclosed with 6' Vinyl Privacy Fence. Close to everything Fuquay! MLS#2247679. 4852.